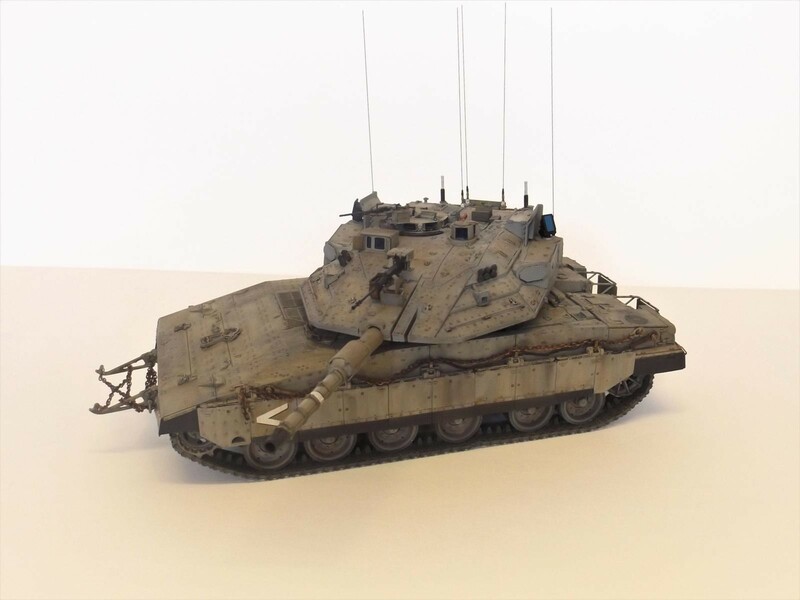 I decided to try my hand at something different so I got myself a 1/35 tank. I couldn’t believe it when I opened the box, 1000 parts! I’ve added metal tracks and some wires and aerials, otherwise it’s out of the box. I really enjoy looking at your builds, fantastic work. This is just another outstanding example. Very nicely done. 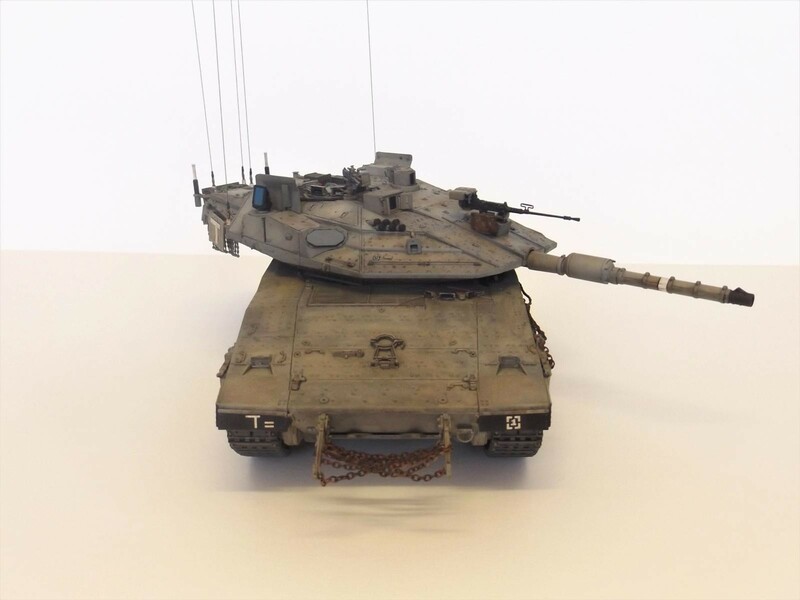 Stephen, this is a great Merkava. You weathered it well but not TOO weathered. Well done, Sir! Stephen, this is outstanding, as Jeff said above, you weathered it well. 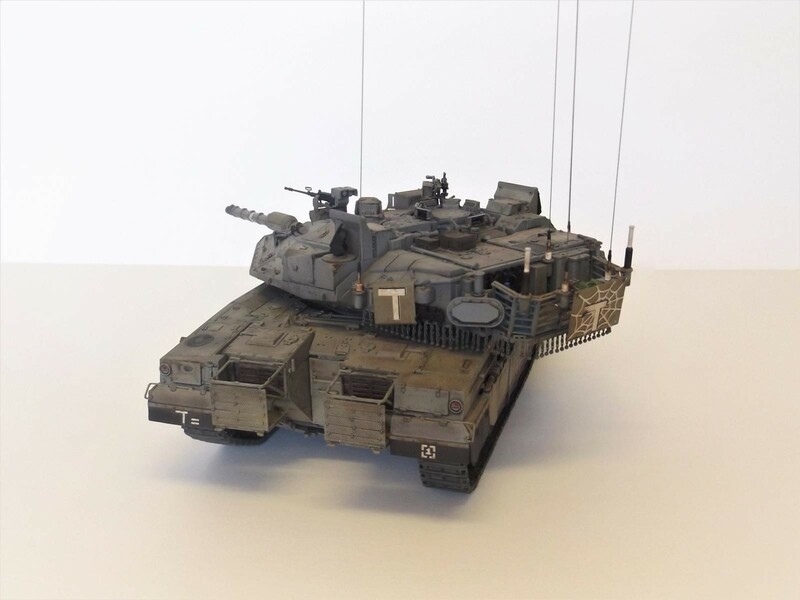 This would look really nice on a diorama. I like it a lot ! Wow! That’s really well done. I like the water bottles in the bustle. Spectacular! The added antennas and personal items really add to the build. Outstanding build! What color did you use for the IDF grey…it looks perfect? It’s basically a mix of light grey (xf-20) and khaki brown (xf-57) but I can’t say exactly how much because it’s varied from one coat to the next. Superbly done! Really like what you’ve done here. Wow – excellent! An elegant looking piece of armor. 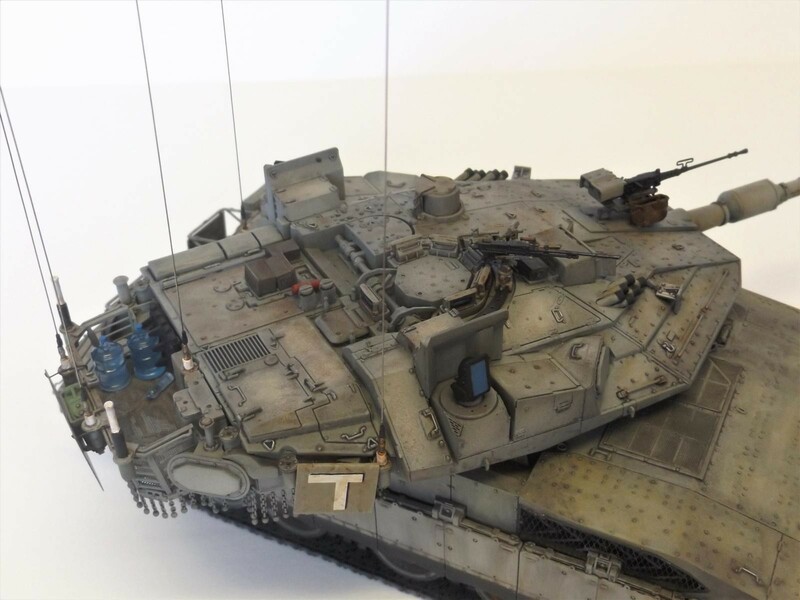 Great good job for this Merkava ! 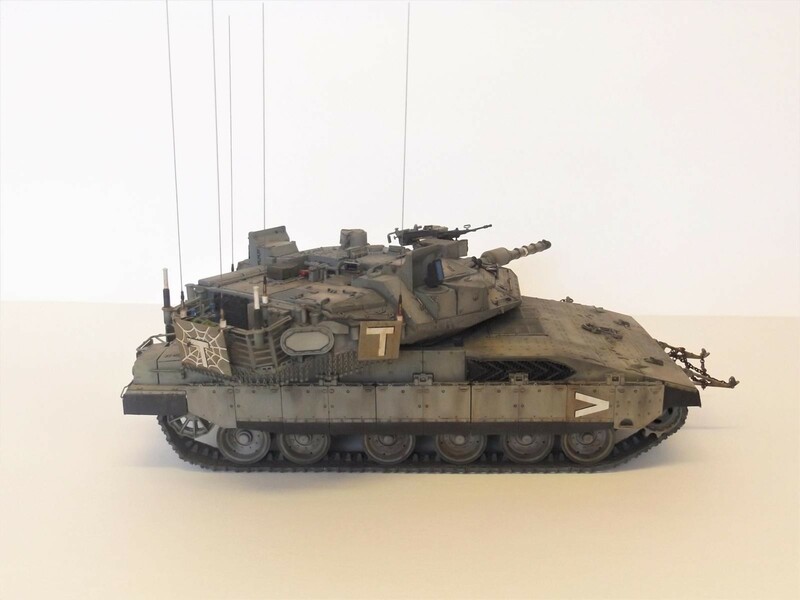 Hobbyboss Leopard 2A4 – A ‘perfect’ cure for AMS ? ?